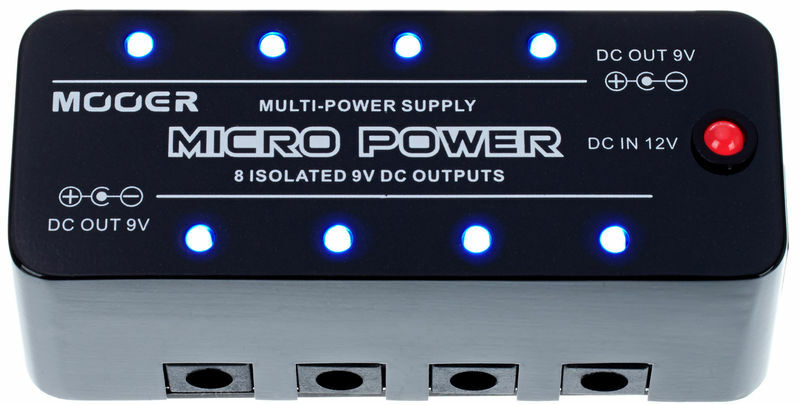 Provide stable 9V DC power supply with high performance, each out put maximum current of 300 mA, can meet most of the pedal use requirement . 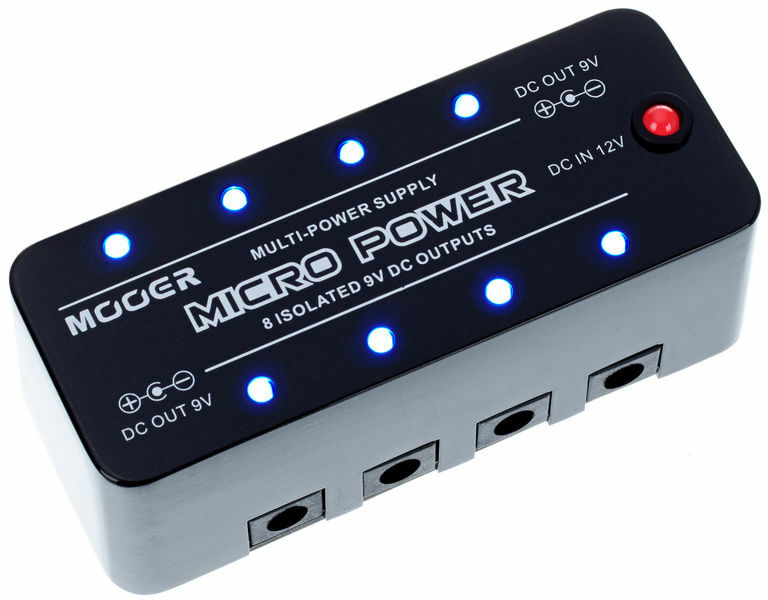 Eight independent output short circuit protection design, when one circuit output failure, other output lines still can work independently. 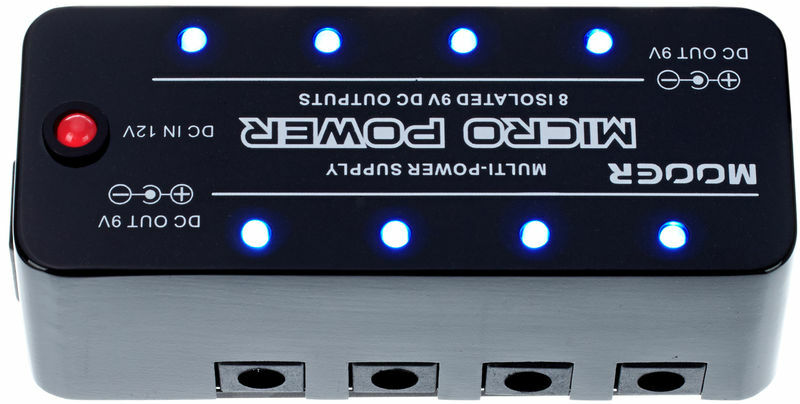 8 LED lights indicating output status in darkness, its unique dull - polished feature can also protect your eyes from spotlights on stage.